Third Floor Condo with elevator for convenience. Gated community with secure entrance. Lovely sleeper sofa and love seat. 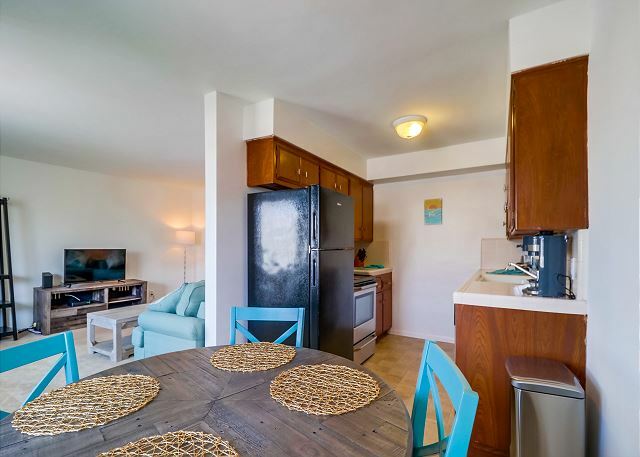 Open living room makes this beach condo a very comfortable stay. 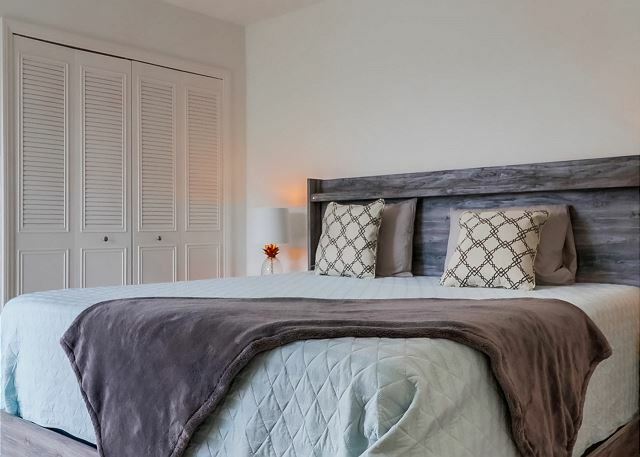 Sleep soundly in the newly purchased King Size Bed and Mattress. Enjoy individual nightstands and lights within the headboard. Enjoy your meals overlooking the complex pool. Sip coffee and let the breeze wake you up in the morning. 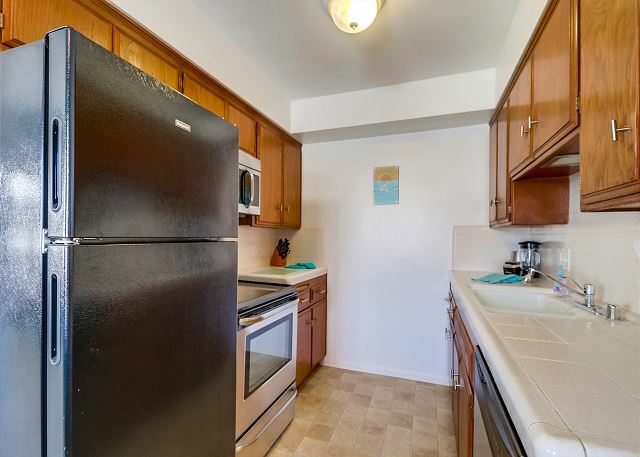 Galley Kitchen with Microwave, Dishwasher, stove, blender and coffee maker for your comfort and use. 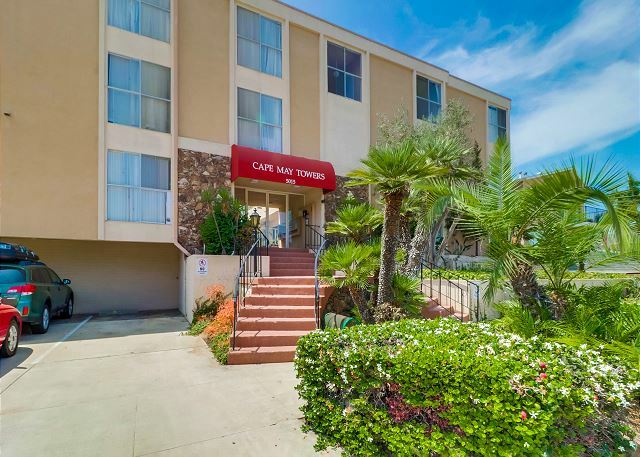 Onsite clean laundry facilities are a great added benefit when staying in Ocean Beach. Never a line or wait to complete your laundry needs. Soak up the sun and the beauty of Ocean Beach. Walking distance to beach and restaurants. Everything is equipped for enjoying a relaxing time at the beach. There are several rental companies in the area that specialize in renting paddle boards, kayaks, snorkel gear, beach chairs, toys, and bicycles. There are plenty of activities to experience during your stay. 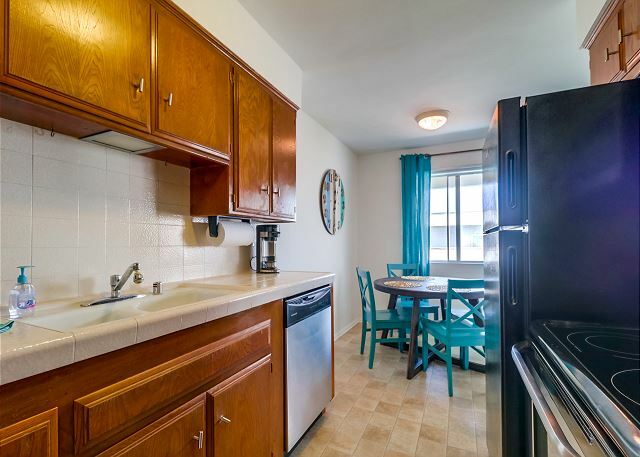 Located within a secure residential building this condo has a lot of great amenities; elevator, pool, and one parking spot. Laundry on site.